How to Make Lemongrass Tea | Grow This! Lemongrass tea is popular in India, Asia, Latin America, and Africa. It is soothing and is believed to have many health benefits, including anti-cancer properties. It is also considered by many cultures to aid digestion, lower blood pressure, and to fight bacteria. Whether you grow your own lemongrass or buy it at your local market, it is easy to make. Here’s how to make lemongrass tea. Use fresh lemongrass leaves from your garden or buy dried lemongrass leaves. If using fresh, take two stalks of lemongrass, wash, and cut into one or two inch pieces. Place a handful of fresh leaves or dried leaves in a cup. Pour boiling water in the cup and let steep for 15 minutes. You can also put the leaves in a teapot and add hot water. Add sugar, honey, or other sweetener to taste. It’s also great on its own, unsweetened, thanks to its citrusy flavor! 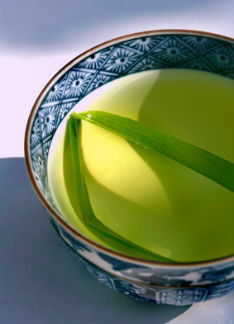 Do you have tips on how to make lemongrass tea? Let us know in the comments section below.